Link Krew is an internationally recognized freshman transition program developed by The Boomerang Project that links freshman students with upperclassmen who serve as mentors. The program was established at Lawndale High School in 2013. It is run by three teacher coordinators, Mr. Nathan Cooke, Ms. Belbet Fuentes, and Mrs. Jacquelyne Ramirez who oversee 150 student leaders that plan events for the freshman class, facilitate academic follow-ups in freshman seminar classes, host events for staff, and support other organizations on campus. 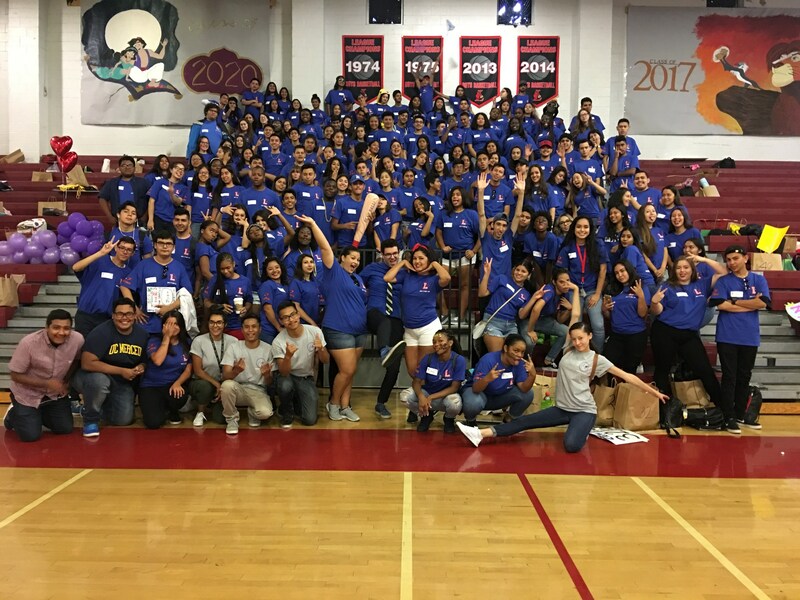 Link Krew builds student leadership and school communities to shape school culture. Studies have shown that freshmen who make it through their first year of high school successfully are less likely to drop out. Studies have also shown that students facing socio-emotional issues are more likely to ask for advice from peers rather than adults. With this in mind, the Link Krew program provides a summer orientation and year-round support to help freshmen be successful during their first year of high school. The goals of the program include: empowering juniors and seniors as role models, teaching leadership and initiative, exposing students to a variety of positive influences on campus, and increasing academic success campus-wide. Parents, please click here to view a brief video that shows you how this program works, how it benefits your child, and how you can support us. Lawndale staff members, please click here to check out what your colleagues have to say about our program and how you can help support our student Link Leaders. 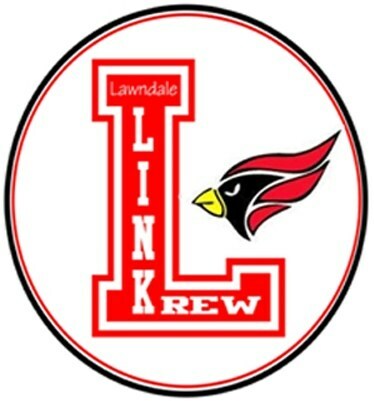 Lawndale Students interested in joining Link Krew next year, please click here to review a google slides presentation that contains an overview of the recruitment process. We look forward to welcoming you into our Link Krew family! Lawndale's Link Krew is proud to boast that we are a model program and will be hosting the Student Link Conference for the Boomerang Project for a second time in 2018!